Taint is the introduction of a foreign object into a host, modifying it. Its effects can be positive or negative based on the host's reception of it. The effects of Taint can be very obvious or quite subtle, from the introduction of a substance which dissolves the subject physically to even just a simple suggestion altering someones mind. 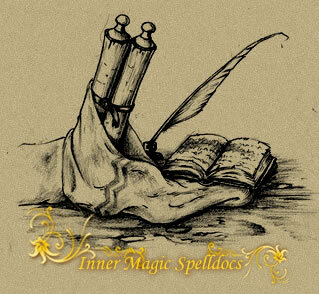 This is just a fragment of one of the innermagic spell documents, collactable in MagicDuel. Each spells expands over several levels of complexity, each of them releasing a bit of information about how that spell works. The levels spread from general information to highly valuable secrets. There are no rituals, spell words, enchantments and such. 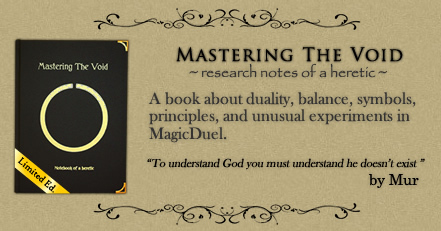 All is kept at a tehnical level, in the spirit of MagicDuel, if you are searching for wicca or wizardry material we recommand you google it or read fiction or folclore literature of that kind.